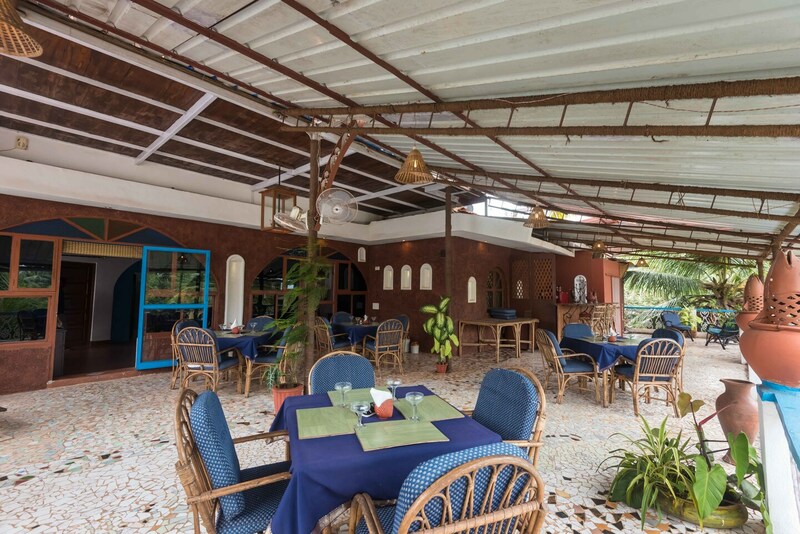 Caps Corner is a beautiful and exquisitely decorated lodge, situated close to Calangute Bus Stop and Arpora Bus Stop. It is just 5 minutes away from Calangute Beach. Snow Park is also an exciting and popular attraction nearby. The rooms of this lodge are aesthetically decorated with charming lights and quirky wall paints. Wooden chairs, cabinets and tables are available in all the rooms. There is an open-air dining area, making it a must-visit place for people planning the trip. Free Wifi, Power Backup, Parking Facility, Mini Fridge, TV, Geyser, Bar and CCTV Cameras are some of the amenities provided. You can enjoy your favourite foods at Mocha, De Baga Deck, Infantaria and Fellini Intensity.